If it isn’t spicy enough for you, there’s even more chilli and oil at the tables! 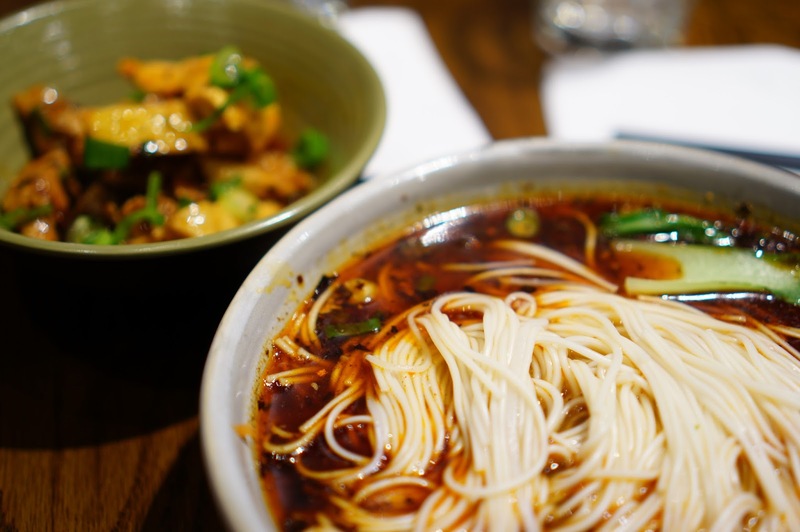 I am a massive fan of Dainty Sichuan, spicy food is great, but noodles are even better. So along I hopped to this strangely set up semi-fast food joint in Emporium Melbourne. Like a typical asian fast-food joint, you order and pay at the central counter then take a number and find a seat through the maze of oddly placed benches and individual tables. Stewed Lamb Ribs ($12.8) were not as spicy as I expected with minimal bone to annoy you. 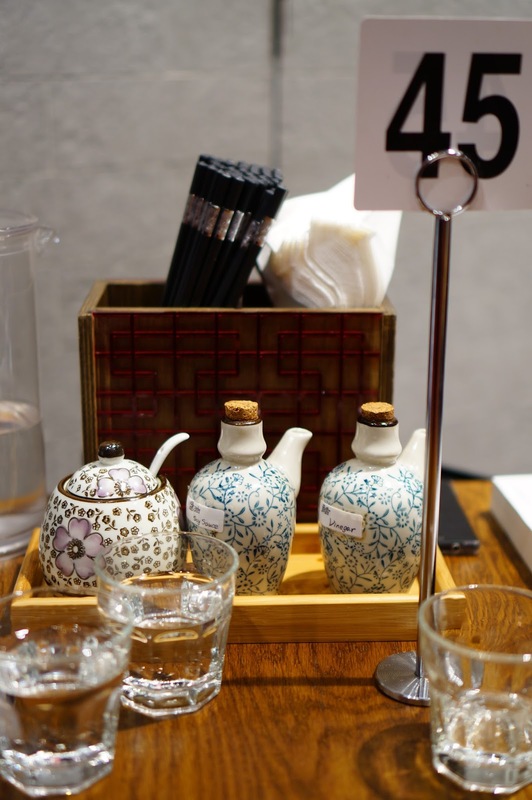 The stock is very similar to what the other Dainty Sichuan chains use as their hotpot stock, so you know it will be spicy with that strange numbing spice to boot. I was not a fan of the thicker noodles as it didn’t absorb the full flavour of the soup as well, but I loved it anyway. One of the few non-spicy dishes on the menu is the Stewed Pork Belly ($13.8) – a pretty good option if I say so myself; probably the best dish we had on the day. 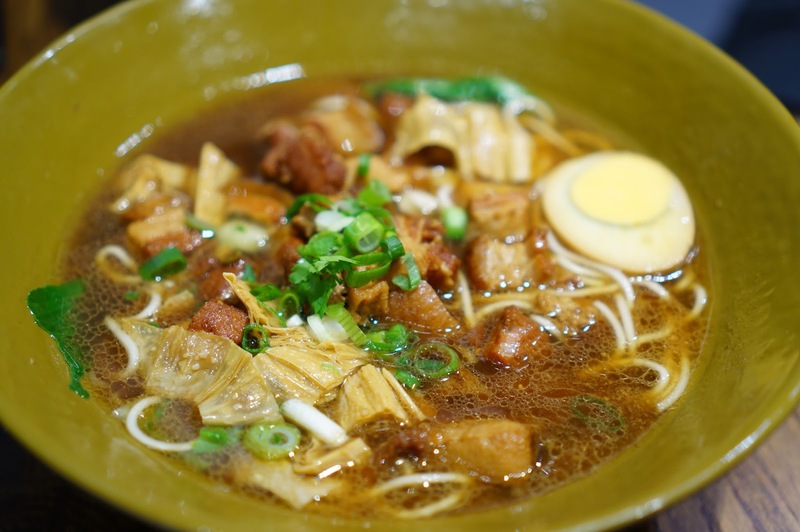 The pork belly is pretty fatty, and stewed so the skin gets a bit chewy to be enjoyable; but there is an abundance of meat and the noodles are delicious. The flavour had seeped into the soup, and so you could really have just eaten the noodles and soup alone and it would have been enough. 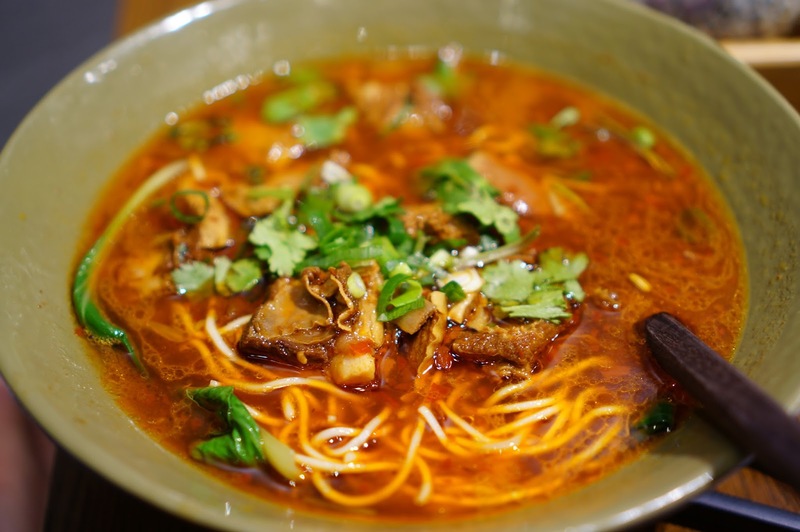 The Chongqing Spicy Noodle ($15.8) was definitely the worst dish of the day. The noodles were nice, thin so they absorbed a lot of the soup. However the soup was mostly chili oil and was incredibly spiced, and the chicken that came with it was mostly bone – barely any meat, and so unsatisfying having to dig through and spit out all the bone. The good part was I really enjoyed the thin noodles but I’d still avoid this dish like the plague. 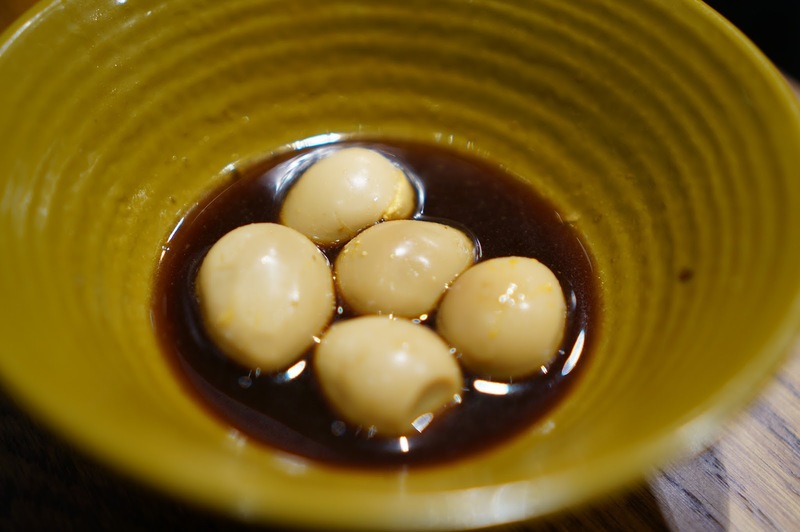 Braised Quail Eggs ($2.0) nothing special, but I enjoy quail eggs, ‘cos they’re small and bite sized (and cheap) (like me). Right! Do you have any other favourites I can try Sally?